The Undercover TV series is a political thriller from BBC currently streaming on Amazon video. It’s an intelligent, complex story, heavy-handed on moral preaching, but well-made with enough suspense to keep viewers watching episodes in rapid succession. Most foreign TV series fans will enjoy Undercover, despite several major faults in the telling of this multi-threaded tale. 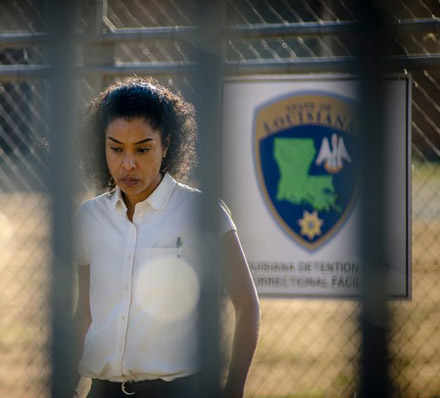 Maya Cobbina (Sophie Okonedo) is British lawyer – barrister, if you prefer – defending a death row inmate in Louisiana. She jets back and forth between the US and her London home at the drop of a hat. Her client in the States is a black man, wrongly convicted (we assume) of murder 20 years age. Maya is trying to get the governor and/or courts to stay his execution. Maya is also obsessed with death of Michael Antwi, a black activist who died in police custody 20 years ago after a protest march turned into a riot. The scenes of the march are reminiscent of the recent (August, 2017) events in Charlottesville, Virginia. Maya has been searching for justice, tracking down the true story of how Antwi died. Maya’s husband Nick Johnson (Adrian Lester) acts like a stay at home dad to their three teenage children, but also trains as a triathlete and writes. He is supportive of his wife’s career; less so when a promotion opportunity arises. We learn all this in the first episode, but characters, relationships, and back stories are revealed slowly. There are lots of flashbacks in Undercover. Early on, long stretches happen in the past. It’s a story where viewers must pay attention to understand the relationships and connections. In episode two, the reason for the series title is revealed, though you may figure it out before then. Several of the twists and surprises are obvious, but a couple of unexpected happenings along the way keep the suspense alive. 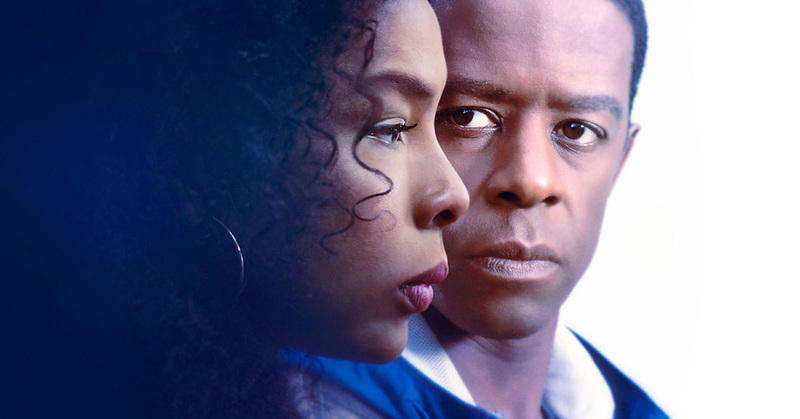 The Undercover series is high minded – the concept is based an actual events – dealing with racial injustice, and questions about the search for truth. Is honesty always the best policy? Nick and Maya’s son, Dan, who has a learning disability, serves as a gauge. He is sensitive, always speaks the truth, and can’t keep secrets. Undercover was created and written by Peter Moffat. 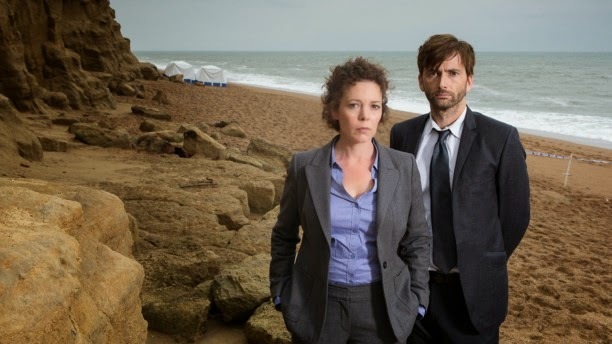 He’s written other British TV series such as Criminal Justice and Silk. Undercover reminded the netTVwatch team in tone and style of The Night Of, the outstanding HBO series based on Moffat’s Criminal Justice. (We will have to watch the latter series for comparison.) Undercover doesn’t quite match up to The Night Of. It stoops toward network television level rather than rising above it. Don’t read until you have watched the show! 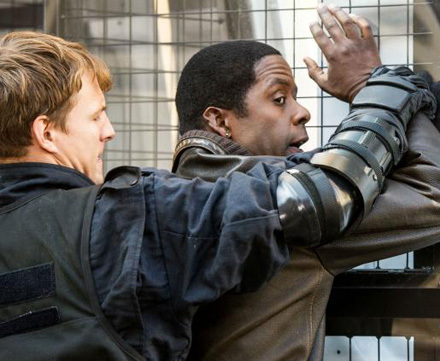 Here are some things that really, really bother us about the Undercover TV series. Feel free to add or discuss in the comments section at the bottom of this page. How does a British-based attorney get to defend a client in Louisiana? We’re left to assume the American lawyer is attorney of record, but, really, why would a lawyer from England be needed in the US for this case. OK, so Nick kept his big secret all these years. We’ll buy that, but when given the choice between a made up story about an affair and the truth – which would “set him free” – why does he choose the affair? Either choice likely destroys his marriage. Not only that, but he compounds the hurt by leading Maya to believe he slept with the other woman at home. Nick has been a writer for almost 20 years, yet no mention of books or even articles. We’re told he’s a crime writer. Of course that started as a cover story, but what about now? What is he working on? Where are his books? Twenty years of writer’s block? The smaller problems with Undercover. We’d overlook these, if it weren’t for the big, glaring problems noted above. 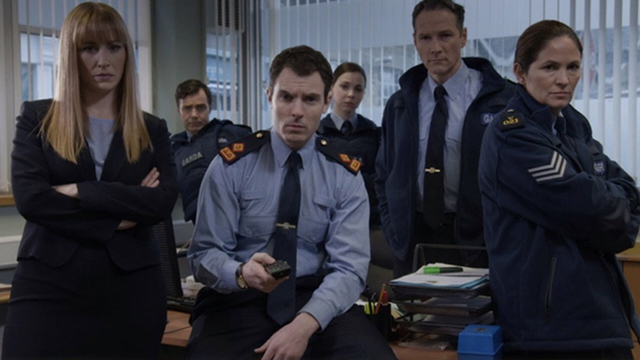 As soon as Maya gets her promotion she puts her entire staff on a 20 year old case. We know she’s obsessed, but it begs credibility. We know it’s tricky for the makeup department when a character is shown in both present day and twenty years ago. Maya looks every bit of today’s age in the 1996 funeral scenes. I don’t think they even tried. As a lawyer visiting your client in a high-security prison hospital, how is it your teenage daughter is allowed in with you? 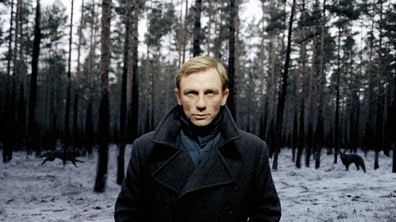 On a more positive note, the shootout in the woods was a pretty good, if conventional, thriller-type ending. Also, the final secret revealed about Michael Antwi was a welcome twist.